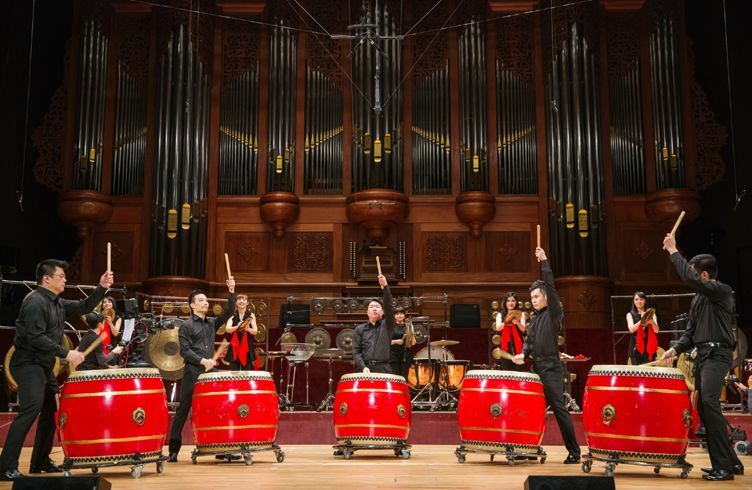 Taiwan’s famed percussion ensemble makes their explosive debut at Esplanade, presenting an evening of powerful percussion, thrilling choreography and stunning virtuosity. This pulsating concert features specially commissioned works for percussive instruments by Taiwanese and French composers, bound to captivate music lovers. Well-known around the world for their innovative blend of East and West, traditional and contemporary, Ju Percussion Group is a theatrical music percussion group consisting of members who possess masterful virtuosity in playing Western percussion instruments as well as Chinese gong drum music, and other forms of Asian traditional music. The group has wowed audiences across the world with their dynamic musicality and showmanship at more than 3,000 performances in 31 countries to date, in venues such as the Barbican in London and the Wiener Konzerthaus in Vienna. Ju Tzong-Ching, founder and artistic director of the group, has played a significant role in enhancing the wide interest in percussion music in Taiwan in the last two decades. In 1992, he established the Ju Percussion Music School, the domestically developed educational system and the fastest channel to promote the percussive arts in Taiwan.